Cinco de Marzo – A Success! Eight avocados worth of guacamole (for 9 women, mind you), 2 bags of chips, 2 pounds of beef, 12 tortillas, 6 different toppings, and multiple desserts later, I would call last night’s Second Tuesday a success. I was looking forward to the evening given that we made a couple of changes: we included a topic for discussion to make sure we don’t just talk about work and everyone wore name tags. Additionally, the group consisted of a few new people. Having a topic of discussion worked out well. Last night’s topic was “What’s Happening in the Middle East, It’s Impact on the World, and Why It Happened Now?” While it was not the only thing we discussed, it did give us an anchor to last night’s conversations. We’d talk about the topic at hand which led us into debate and then sparked an idea for another topic. The group periodically and naturally broke out into mini-groups to create their own side bar conversations, sometimes coming back together. One of the more interesting conversations that came out of talking about the Middle East was to learn how people kept up with the news. Some scan the headlines of major papers like the New York Times and Wall Street Journal, reading articles whose headlines captured their attention. Although, admittedly, the articles that are often read end up being in the Lifestyles Section. Some subscribe to magazines like Newsweek and The Economist, reading what they can on the subway or at the gym. Many gyms actually print a “highlights of the news” for their members to read while on the treadmill or elliptical machine. One of the challenges we face is that we live in a very busy world, and let’s face it – when we have free time, we want to enjoy what we do with that time. It is difficult to find news that presents topics in a balanced way, so one must go to multiple sources to make sense of what is going on. And that takes time. Additionally, some of the news is boring and dry. Personally, I would appreciate more articles to be written the way Thomas Friedman writes. He puts an interesting twist on what’s happening that evokes thinking. For instance, last night, I read to the group an op ed he recently wrote. Click here to read more. Whether you agree with his points or not, it is at the very least interesting. In the end, I think we came away with new ideas for keeping up with what’s going on and have realized just how important it is. One person commented that she was inspired by the conversation and people’s take on keeping up with the news such that she is going to explore new ways to keep up with world events. I agree, and so will I.
Oh! I must not forget sharing with you our review of Skinny Girl Margarita. 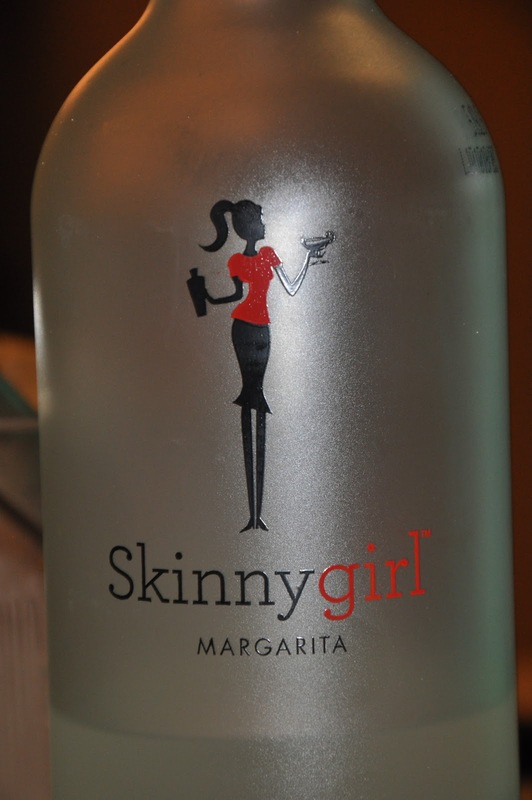 The commentary was consistent – “good but strong.” I believe one of the reasons why it is “better” for you than a regular margarita is that it contains agave rather than sugar. For those of you who don’t know what agave is, it is a plant that produces a natural sugar. In fact, it is what tequila is made out of. Agave, unlike the regular white sugar we typically consume, does not give you sugar spikes, which makes it much better for you. Mmm! Guacamole and Chips. The nine of us had 8 avocados worth of guacamole. 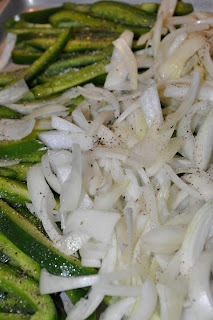 Peppers and onions for the fajitas. Delicious! Mexican Wedding Cookies. We also had flan and chocolate cookies with chili peppers. This entry was posted in http://schemas.google.com/blogger/2008/kind#post, March Second Tuesday, skinny girl margarita, Thomas Friedman on Egypt, Thomas Friedman This is Just the Start, Women. Bookmark the permalink. 1 Response to Cinco de Marzo – A Success! Although it was a thought provoking discussion it didn't dominate the night's activities. The ladies come from different experiences so it makes for interesting and intriguing conversation. It was a fun night. Everyone's contribution to the meal was great and it definitely screamed FAT TUESDAY.